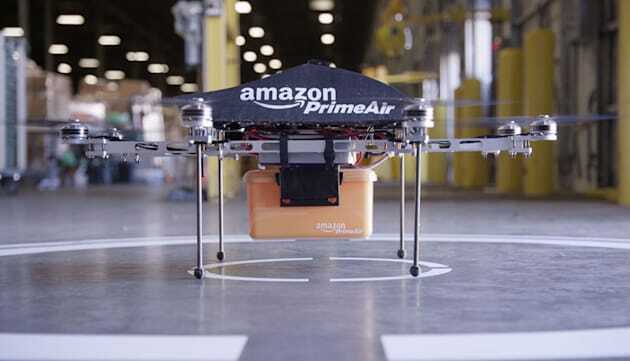 Commercial drone operations like Amazon's highly-touted delivery service could commence in about a year, according to a senior official from the Federal Aviation Administration. FAA Deputy Administrator Michael Whitaker told a congressional committee on Wednesday the necessary regulations for commercial UAVs to operate in public airspace will "be in place within a year." That's way shorter than the 2017 start date that the FAA originally figured on. And when the rules are finally settled on, Amazon will be ready. "We'd like to begin delivering to our customers as soon as it's approved," Paul Misener, Amazon's VP of global public policy, testified at the hearing. "We will have it (the technology) in place by the time any regulations are ready. We are working very quickly." Amazon debuted the delivery drone idea way back in 2013 and began lobbying for FAA acceptance. This February, the FAA proposed that drones be allowed to operate only during daylight hours at a maximum height of 500 feet while staying within the pilot's line of sight. However, since the regulations hadn't been set in place at that point, Amazon had to take its initial flight tests to Canada. However, the FAA's position has changed rapidly since March making it easier for companies to acquire operational permission and giving Amazon the ok to conduct drone tests (in the continental US no less). At this pace, the company may not need to move forward with its proposed crowdsourced delivery scheme.